Apilus® digital technology is the most comfortable and effective permanent hair removal system that guarantees results 25 times faster than any other epilator to date. Comfortable? Truly, there really is only a tingle and virtually no skin reaction! Our highly skilled and fully trained beauty therapists take great pride in delivering first class beauty treatments. In a fast-paced industry, our treatment portfolio is regularly updated to offer clients an innovative array of beauty treatments from around the world. We are proud to use only the finest brands, including Eve Taylor and Environ to ensure your beauty needs are expertly met. Allow us to to take care of your every beauty demand, from head-to-toe. Whenever you see the BABTAC badge it is a sign of confidence; you can rest assured the therapist is a qualified professional, committed to excellence in the field as well as their continuing development as a professional. We are currently enrolling for all our full-time and part-time Beauty Therapy courses commencing October 2018. 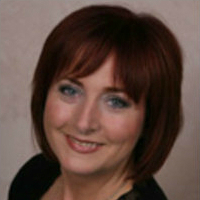 For more information... Did you know that Geraldine McGuigan is the principal of the renowed, Bronwyn Conroy Beauty School in Belfast and that she is also an International CIDESCO examiner for the CIDESCO education board. First class service as always. Fionnuala is professional and efficient and makes my visits enjoyable.